It was just a couple of years ago that Para Ordnance packed its bags in Canada and moved to North Carolina to become a totally U.S. company, Para USA. Now in another big change, Freedom Group—owners of companies such as Remington, DPMS, Marlin and more—have snapped up Para, thereby adding a dedicated handgun manufacturer to its portfolio. Para was founded in 1985 and it is perhaps best known for the LDA (Light Double Action) trigger system it incorporated into many of its 1911s. The LDA feature never really caught on with American shooters, especially long-time 1911 fans, who found the change to John M. Browning's design to be too much of a departure. I recall being in an impromptu meeting between several gun writers and Para company officials. The Para folks wanted us to tell them why the LDA wasn't more widely accepted. The discussion quickly broke into two camps: 1911 traditionalists who saw it as an anathema and shooters whose tastes ran toward SA/DA and striker-fired guns and had no problem with the LDA. I was in the latter camp. At the time I owned an LDA gun. It shot well, and I liked it—but it wasn't hard to understand why hard-core traditionalists wouldn't. Para apparently understood that as well, and over the past few years it had largely moved away from the LDA concept and concentrated on producing value-priced single-action 1911s such as the GI series in addition to high-cap models and carry-style single-action 1911s such as the Warthog. In fact, as of this writing LDA guns—now called "Carry Safe" models—made up only slightly more than 10 percent of the Para's product line. Anyway, it will be very interesting to see what Freedom Group intends to do with Para's lineup. Here's the press release quote. 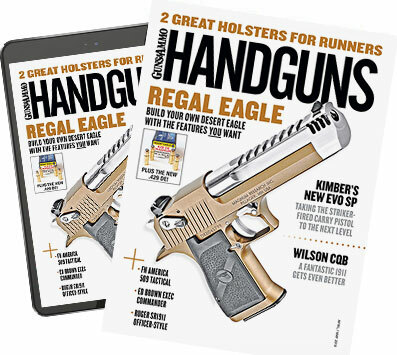 "We welcome Para into the Freedom Group Family of Companies," said E. Scott Blackwell, Chief Sales and Marketing Officer of Freedom Group Inc. "Para USA is a leader in handgun technology and their fine products exemplify quality, innovation and performance. Para is a perfect complement to our industry-leading family of brands, and our success in 2011 with the Remington R1 - 1911. We look forward to deploying both human and financial resources to continue to develop and supply current and future handguns for consumers and our channel partners. We also wish to thank all its employees for their continued dedication that has made Para a success." According to the release, Para will continue day-to-day operations at its Pineville, NC based facility.